This is how I spent my Sunday afternoon. I began about 2pm. It is a 3D puzzle and boy did it play with the eyeballs. One had to sometimes pick up the piece to see all the colors in it. It was a challenge. I bought the puzzle to make myself enjoy something that wasn’t electronic and to encourage my family to help as well. I can remember when I was young in grade school putting puzzles together with my Grandma Marie. It is some of the best memories I have of her. She taught me to start with the outline and to turn all the pieces over so you can see them. If you get stuck on one part look for another color to begin working on. I even had a sixth grade teacher that would allow us to put together a puzzle once our homework was done. You bet I worked madly so I could go put that puzzle together. He usually had those enormous puzzles with a million things going on it. Loved them. Grandma and I mostly put together landscapes and those were challenging because of all the close colors and many pieces of the same color. I believe both taught me a much needed skill of patience and determination to succeed. I can even look at a piece and picture it in the slot and know it will or won’t fit. I’ve played some of the electronic puzzle games and yes they are fun but there is something special about putting one together by hand. It could be just the wonderful memories I have of who I put them together with. I truely miss her. 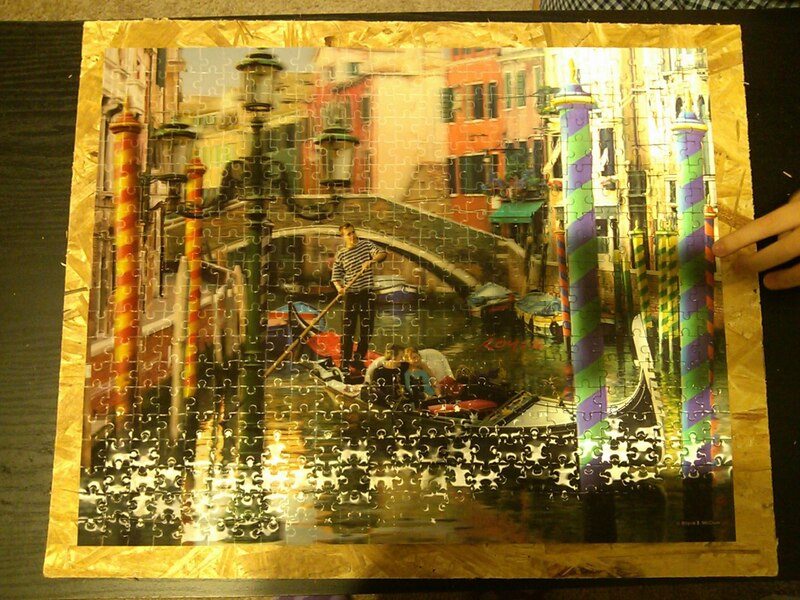 I sat and put that puzzle together with hardly a break. I even forgot to eat. 🙂 I was bound determined that I was going to finish it that day. My boys even sat down and began to help. I loved it. They even forgot about their computers for the evening and stayed helping me. They got a bit frustrated because of the 3D part, but they soon figured it out. I told them the next one I will get a regular puzzle to give our eyes a break. I like 3D stuff but staring at them for a period of time is not fun. We finished the puzzle about 10:30 that evening, thank goodness there was no school for the boys the next day. 🙂 We are going to glue it together and hubby is going to make a frame for it. I so enjoyed putting the puzzle together and shouldn’t have taken so long to make myself do it. I love the fact the boys enjoyed it. Now the hunt will begin for our next puzzle. 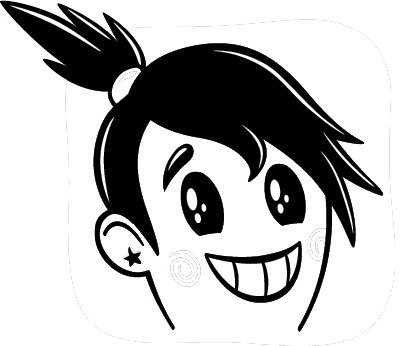 This entry was posted in Family and tagged 3D, art, family, frame, memories, puzzle. Bookmark the permalink. That’s a lovely memory of your grandmother. My four year old grandson and I were doing puzzles till other activities got in the way. 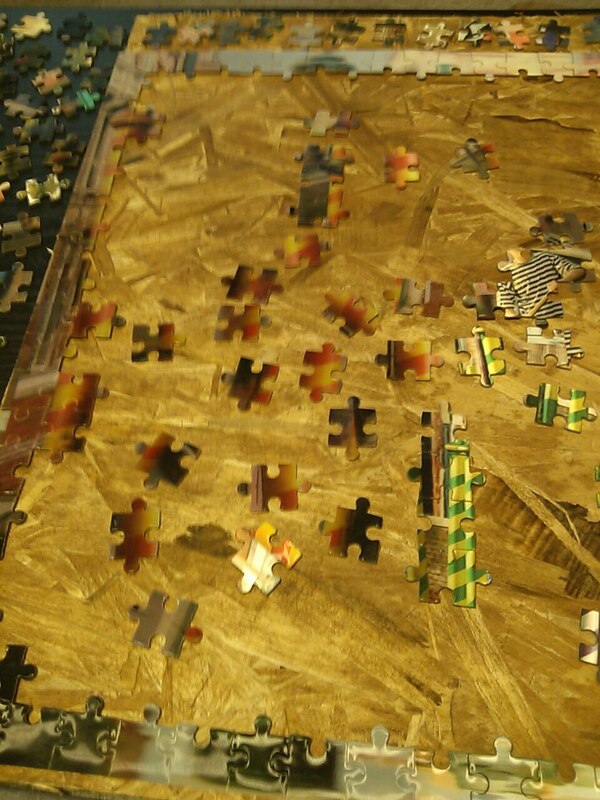 I think I’ll reinstate the puzzles and cut down on some activiities. Some interesting conversations come out of those sessions. Lovely post.